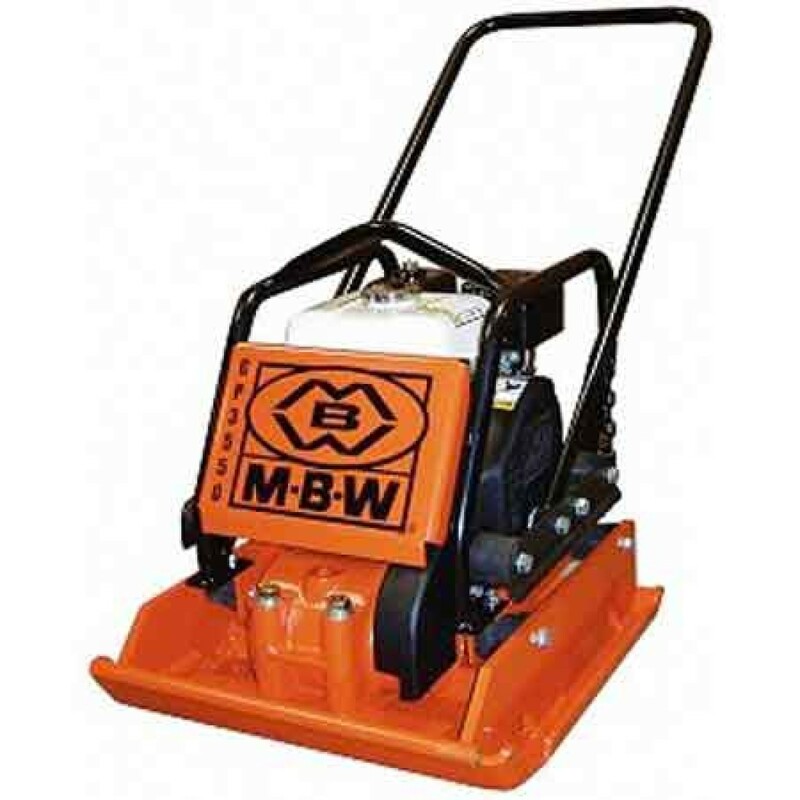 The MBW 21" X 22" Compaction Plate Soil GP3550GH is a premium high production compactor with life expectancy that runs to decades with reasonable maintenance. The deck features a full roll cage as standard equipment with provisions for an optional water tank for asphalt compaction.. The base plate is self-cleaning with an open sided plate design that allows material to flow out and away from the belt/pulley assembly during operation. It provides reduced hand/arm vibration full roll cage protection enhanced amplitude faster travel speed and updated yet rugged appearance.